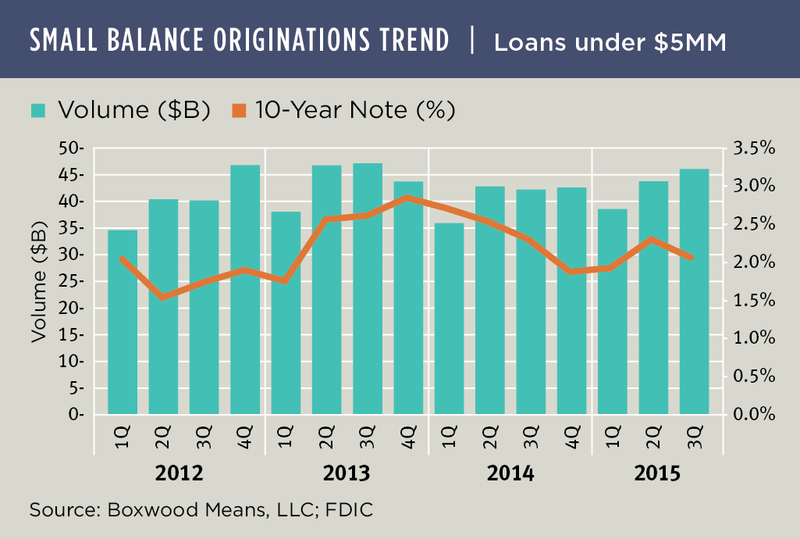 Small balance commercial (SBC) loan originations topped $46 billion during third quarter representing a 5.0% increase for the period and a healthy 8.7% gain year over year according to Boxwood's latest market research. The strong year-to-date volume of $129 billion, sustained by rock-solid space market fundamentals and ample, low-cost debt, is on pace to challenge the record total of $176 billion posted in 2013. See Boxwood's upcoming Small Balance Advocate monthly report for more details and our latest insights regarding the small commercial property and loan markets.